For most residency programs, you can include your spouse and dependent children on the application by increasing your investment. This does not apply to the pensioner program discussed below. 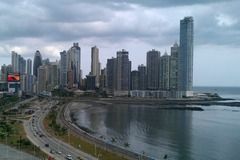 Currently, there are 8 different residency programs for Panama. Let us look at the best options below. This is your fast track to permanent residency: processing is completed within 2 months. Citizens of most European countries, as well as Hong Kong, Taiwan, Canada, Australia, the USA and some Central and South American countries are eligible. To apply for this program, you have to make a bank deposit and carry out professional or economic activities in Panama. The activities can include employment, investment or managing a Panamanian company. You and your family will receive a permanent resident permit, and you will be able to apply for citizenship after 5 years. Pensioners receiving a monthly pension income paid by a foreign government, private company or international organisation are eligible for this program. Applicants also need to provide a health certificate and a document proving a crime-free record in their last place of residence. Once you have received this residence permit, your status will be protected by any future changes in legislation. A possible drawback of this program is that you will not be able to apply for Panamanian citizenship. If you are neither a pensioner nor a citizen of one of the “Friendly Countries”, your best option for obtaining Panamanian residency is the POM visa. This requires a real estate purchase or bank deposit, to be maintained for 2 years. A provisional POM visa is granted for one year, with permanent residency from the second year onwards. You will be eligible to apply for citizenship after 5 years of residency. Citizens of Panama can travel visa-free to 118 countries including the Schengen zone in Europe and the United Kingdom. The main applicant has to make a bank deposit of USD 5,000. An additional deposit of USD 2,000 is required for each dependent. Legal fees and expenses usually amount to 3,000-5,000 USD. Additional costs apply if the applicant requires a work permit or wants to open a company in Panama. The main applicant needs to receive at least USD 1,000 per month as a pension. For each additional dependent, USD 250 per month is required. You are required to make an investment of at least USD 300,000 in real estate, a bank deposit or a combination of the two. The investment will have to be maintained for a minimum of 2 years. In addition, you must submit proof that you will be able to finance your living costs in Panama.